Unlocking has historically been a grey area for the U.S. government. Third-party companies have been making money selling cheap unlocks for smartphones without the carriers’ permission, and carriers don’t want customers unlocking their devices on the side. That means savvy customers could just switch service providers while they’re still under contract. Entities like ChronicUnlocks make good money selling unlocks on the cheap, and they work. ChronicUnlocks is perhaps the most legitimate third-party service, and it is currently not unlocking smartphones that were bought after the DMCA’s ruling went into effect last weekend. That’s a small group right now, but it will encompass many more people as new phones keep coming out. While you won’t probably get sued for unlocking the iPhone you bought in 2013, you’ll probably start seeing unlock vendors close up shop. Or at least fade away. The Library of Congress won’t review the DMCA again until 2014, but there’s an online petition you can sign asking the White House to rescind the decision. 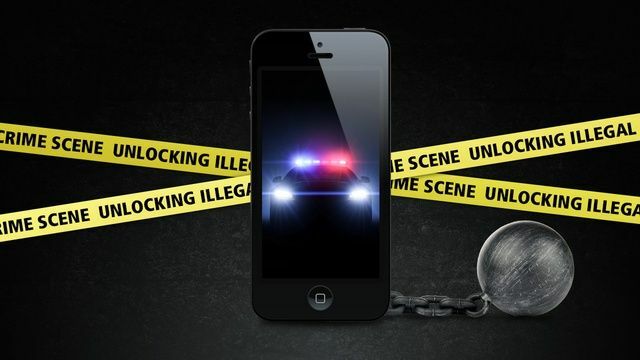 Jailbreaking the iPhone is totally legal still, which has never really been an issue in the past. There hasn’t been one notable U.S. lawsuit related to jailbreaking, so you don’t need to worry about the feds crashing through your door for installing Cydia. And the specific update to the legality of the iPad is really a non-issue. There hasn’t been a court case to specifically enforce a ban on any form of jailbreaking. It’s all up to the interpretation of the courts if someone decided to prosecute. “While a DMCA exemption is nice and all to tip the legal scales even more in favor of the jailbreakers, I don’t think they’re critical to the legality of jailbreaking,” said renowned jailbreak hacker David Wang (@planetbeing) in an email. Wang is currently working to release the public jailbreak for iOS 6.1. “I think jailbreaking is legal, with or without the DMCA exemption, so the lack of it does not significantly impact us, the people who develop jailbreak tools,” said Wang. Jailbreaking your iOS device on your computer at home is totally safe. Some try to sell jailbreaking services on sites like Craigslist, and that could cause issues if iPads are involved. But there has been nothing in the history of jailbreaking to warrant concern at this point. Do as the British do: keep calm and carry on.